NO Wasps Insecticidal Dust was a powder containing the active carbaryl for application to wasp nests and nest entrances. It was picked up by wasps entering the nest and passed within the nest to control the entire colony. Permethrin – 24g/kg this is a higher level than other wasp control products. Diatomaceous Earth (DE) – very low density (light), high surface area powder. DE adheres well to vertical surfaces such as walls below nest entrances in eaves. The new product is supplied in the same puffer pack as the NO Wasps Insecticidal Dust but it is 60 g rather than the 100 g of Insecticidal Dust. Because of the much lower density of the DE the 60 g fills the puffer pack to a higher level than the Insecticidal Dust did, giving the user more product. The result of this combination of actives is rapid uptake of Eliminator into nest and full nest control. The rate of application of the new NO Wasps Eliminator is the approx. 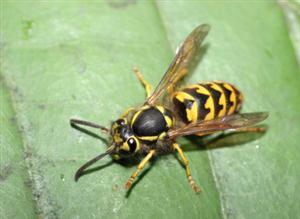 the same as was the case with NO Wasps Insecticidal Dust; 5-6 sharp puffs into nest entrance. Ensure powder is applied into nest or to where wasps land at the entrance. Note: For nests in eaves it was sometimes difficult to puff the NO Wasps Insecticidal Dust upwards and for the dust to adhere to surfaces. 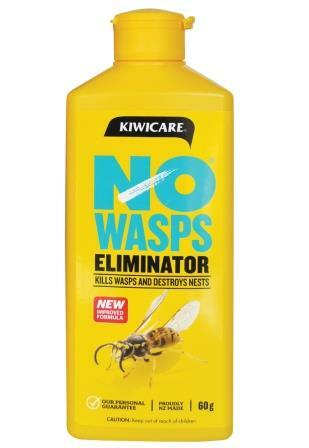 The new NO Wasps Eliminator adheres better to surfaces. However, although it puffs upwards better, it can still be difficult. 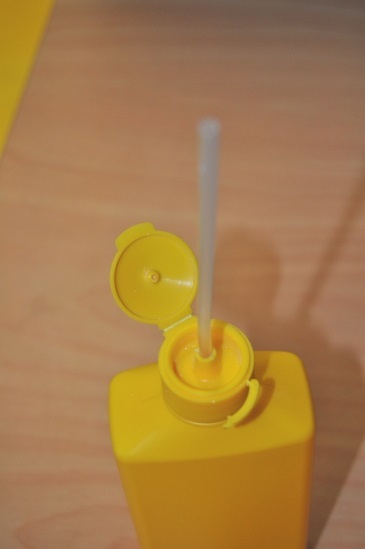 A temporary ad hoc solution for users is to use the dip tube from a trigger sprayer e.g. NO Bugs Super 1L RTU or similar spray bottle commonly found under kitchen sinks. Clean and dry it, and it will fit neatly into the aperture of the NO Wasps Eliminator puff bottle. Push the dip tube down to the level of the powder. The puffer will now puff the powder upwards easily and the nozzle can easily be inserted into the small holes and gaps that usually constitute the entrance to the nest. Q: What do you do with a sick wasp? A: Take it to a waspital! I have recently completed a series of videos describing how to identify rodent infestations, what products to use to get rid of rats and mice, how to use those products, safe use of and disposal of rodenticides and how to prevent rodent infestations.